Have you heard about Give Aloha 2017? 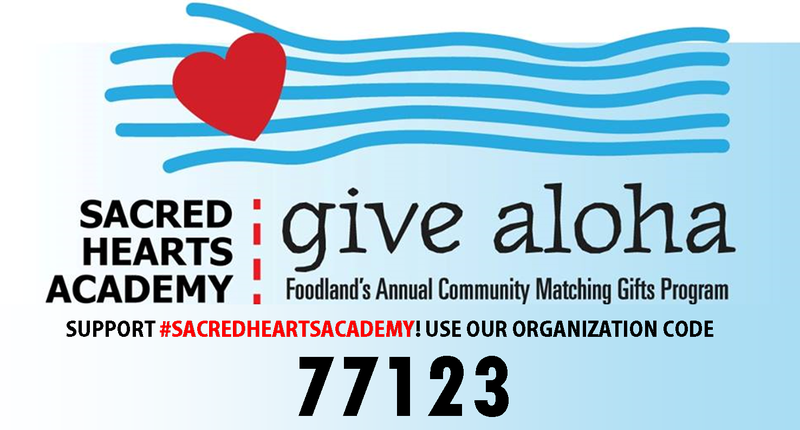 Did you know that if you shop at any Foodland, Sack N Save or Foodland Farms store from September 1-30 with your Maikaˋi shopping card, spending between $1 to $249, your total expense will count as a donation that goes directly toward Sacred Hearts Academy! Something new to the Give Aloha 2017 campaign will be bag credit donations! Currently customers who shop using their own reusable bag have the option of receiving a 5¢ credit or 3 HawaiianMiles for each reusable bag they bring and use. During September, customers may choose to donate their 5¢ bag credit to the Give Aloha 2017 matching gifts fund! Even more exciting is that your donation will be matched by Foodland and the Western Union Foundation! Say you spend $50, the foundations will match your donation with $50, so your total donation will count as $100! All donations will remain anonymous and are tax deductible! 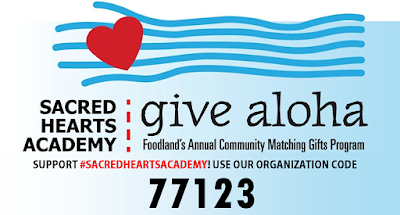 Upon check-out have your Maikaˋi card ready and provide Sacred Hearts organization number: 77123. Happy shopping and thank you for giving back to our community!